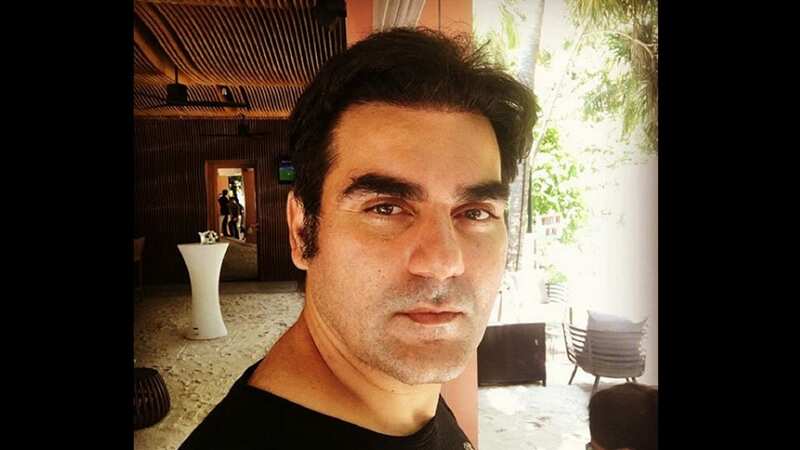 Actor-Director-Producer Arbaaz Khan will make his debut as a host with Pinch, a talk show where celebrities talk about social media trolls and react to the users' mean comments. Talking to Firstpost, Arbaaz shared, "My friend Sumit Dutt (producer of the show) came up with the idea. I think this was really up my alley and something which I'm really excited to do. It's an interesting talk show, talking about very relevant and important questions. Once I took it on, of course from there hard work started, communication and coordination with biggest stars which is not a very easy thing to do." He continued: "Getting their dates, getting them to speak about something that might 'pinch' them. Having said that, everyone was very honest and now I have a very interesting show." Arbaaz Khan. Image from Instagram/Arbaaz Khan. The show is planned for 10 episodes with stars like Kareena Kapoor Khan, Nawazuddin Siddiqui, Sonam Kapoor, Kapil Sharma and Karan Johar as special guests speaking frankly about their views on trolls. Arbaaz further shared how even he has to face the wrath of social media and what is his opinion on being outspoken in the digital world? "Not only me, but everybody who put up their post, they do have to face comments like 'Why have you said this?, What do you think about yourself?" In our show, we strongly emphasised one thing, that it's not necessary to comment on anything or everything. You don't have any pressure to comment on any topic. Think about it for a while and then comment on it or avoid it altogether. Arbaaz further shared that while shooting episodes, he got to know some surprising, enlightening elements about every guest. "Some answers were funny, some were emotional and some were very intelligent," he said. The Dabangg producer said that if this season clicks with the audience, we can expect Salman Khan in season two. "I don't want to look too much into the future. The first season is not yet out. Let the first season come out, let's see how the response is and if we feel confident that we want to put in time and effort in the second season — then yes, we will do it and if that happens then, Inshallah, Salman Khan will be on it," he concluded the interview with a smile.